Coming from South African legend Bryan Habana, this means a lot. Look at his Champions Cup quarter final stats and Keith Earls would appear to have had a decent game... until you get to that final column. Had you missed the game and were scanning the post-match statistics, the Limerick native's figures would not initially scream to be observed. Five carries for 32 metres gained with a clean break and a defender beaten. Three successful tackles in defence, but two missed. Then you reach that last column and you see TWO TRIES. 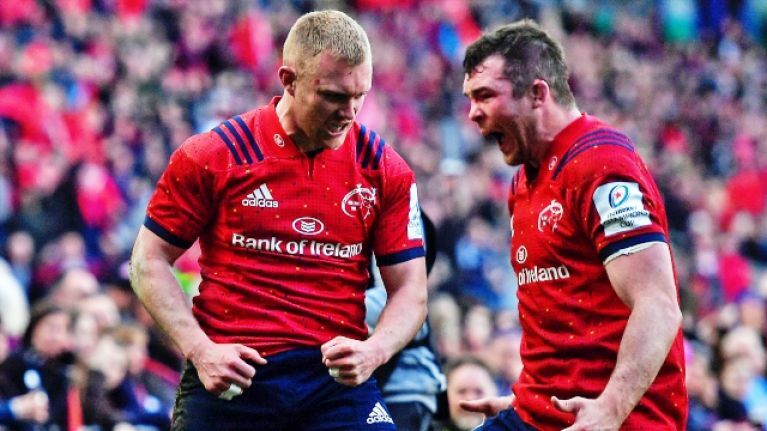 In a 17-13 victory for Munster, those two converted tries were enough to see them home. Ahead of the game, Earls admitted he and Munster had underperformed in big knock-out stage matches over the past decade. He was determined to put that right. Johann van Graan's men are into yet another last four encounter and Saracens will take some beating, but this team are humming again. "Big game player. Rightly man of the match. just wow!" And very, very few would have argued that. Habana and former Leinster and Ireland star Jamie Heaslip both agreed Earls was the game's stand-out performer and he was coralled into a breathless post-match chat. Virgin Media got a natter with Earls too. This is the man who, two weeks ago, was called a 'stop-gap at [Test] level' by Stephen Jones in The Sunday Times. That was a tosh assessment but Earls, one level down in Europe, just kept the head down and delivered for his province again. Meanwhile, over on the pay TV broadcast, BT Sport gave their man of the match accolade to Munster captain Peter O'Mahony, who tackled his Cork rump off. O'Mahony made five carries and stuck 19 tackles, as well as being a nuisance at the breakdown and in the lineout. "We were put under savage pressure"
Man of the Match Peter O'Mahony gives his thoughts following Munsters win over Edinburgh in the Champions Cup. 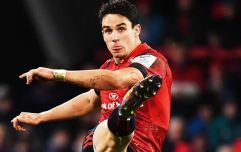 Munster talisman that he is, many watching the coverage on eir and BT Sport couldn't believe Earls had missed out on the MOTM shout. Different broadcasters are permitted to select different players for the man of the match award(s) and post-match interviews. As long as Earls ended up with some bit of sup and a shiny bauble, justice has been done.